J.K. Simmons is one of the best character actors of his generation, with breakout roles as Vern Schillinger in OZ, Dr. Skoda in Law & Order he has cemented his name in television history. 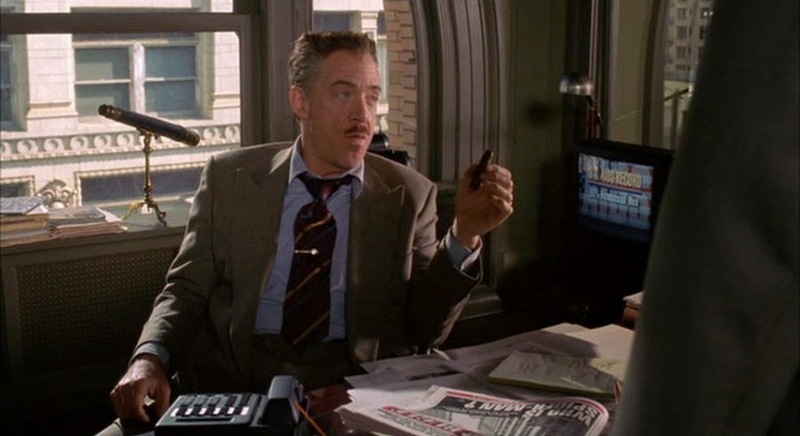 Simmons is probably best known on film as the Daily Bugle editor J. Jonah Jameson in the Sam Raimi Spider-Man trilogy. Simmons portrayal of the character was so well done it landed him as the voice of Jameson in most of the animated Spider-Man series. Fans and critics all agree that Simmons embodies the charter to a T, so-much-so that there has been a large push to have him return to the role in the new Amazing Spider-Man. Well it seems the pleas have been heard and Simmons will likely make the return to the character in Amazing Spider-Man 3. Simmons is currently riding a huge wave of praise for his role in Whiplash, which garnered him an Oscar nod, and will host SNL this Saturday night. While doing press Simmons stopped by the Howard Stern Show and let some Amazing Spider-Man news slip. When Howard asked about a return to Spider-Man (You can listen below) Simmons responded very positively saying " We just heard that.....It's a possibility."